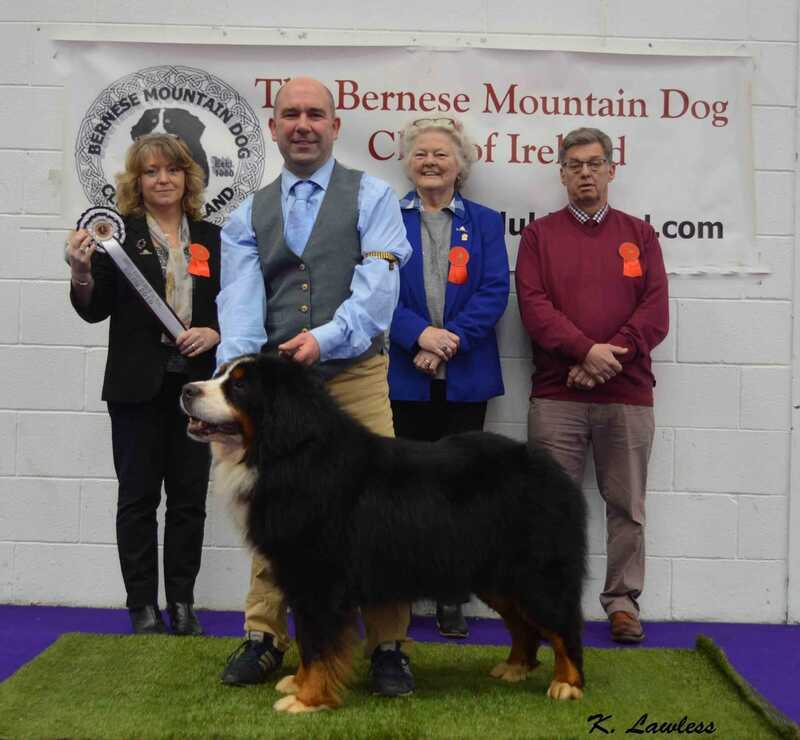 Yesterday was the inaugural Bernese of the Year event organised by the Bernese Mountain Dog Club of Ireland. All class winners and Green Star winners from 2018 were invited to compete along with all Veterans who were campaigned. I had the responsibility of picking the three judges, whose identity was kept secret until the day and I am pleased to say that it was the best kept secret and I feel three very nice and knowledgeable judges for this event. 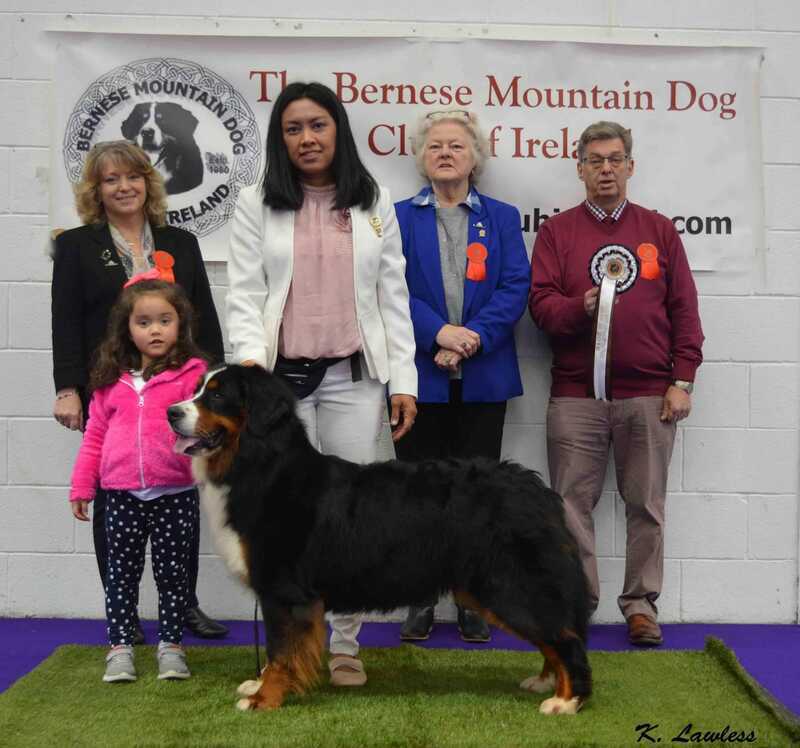 It was a really nice day, celebrating this super breed, with a number of pet owners coming along and intending Bernese owners. Many thanks to the Bernese folks who supported the event and hopefully it is an event that is here to stay. 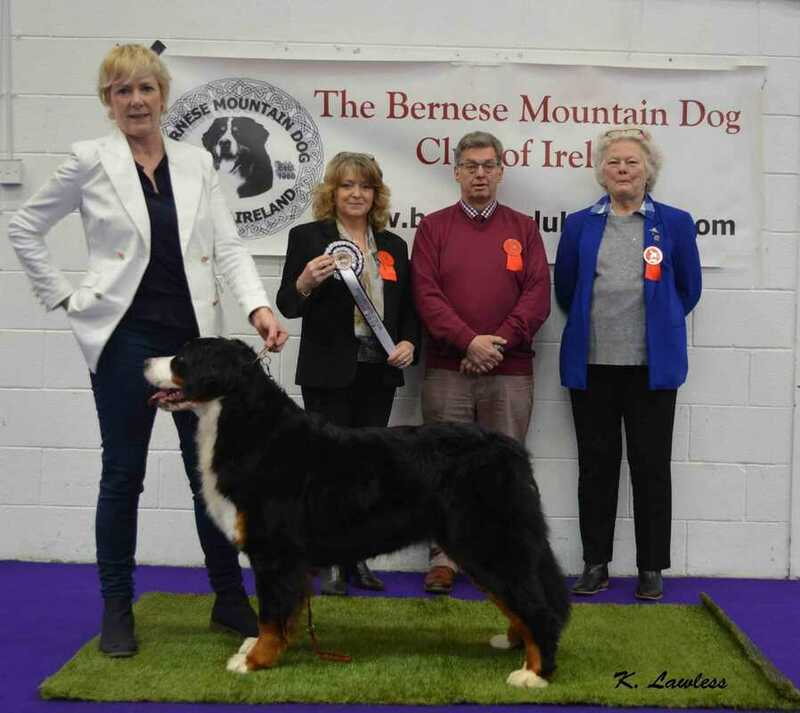 The Winner of the Puppy/Junior of the Year was Valerie Hughes "Carraigbern Lovely Lady", with the runner up spot going to Joseph O'Callaghan's "Bernsego Ku U I Po". 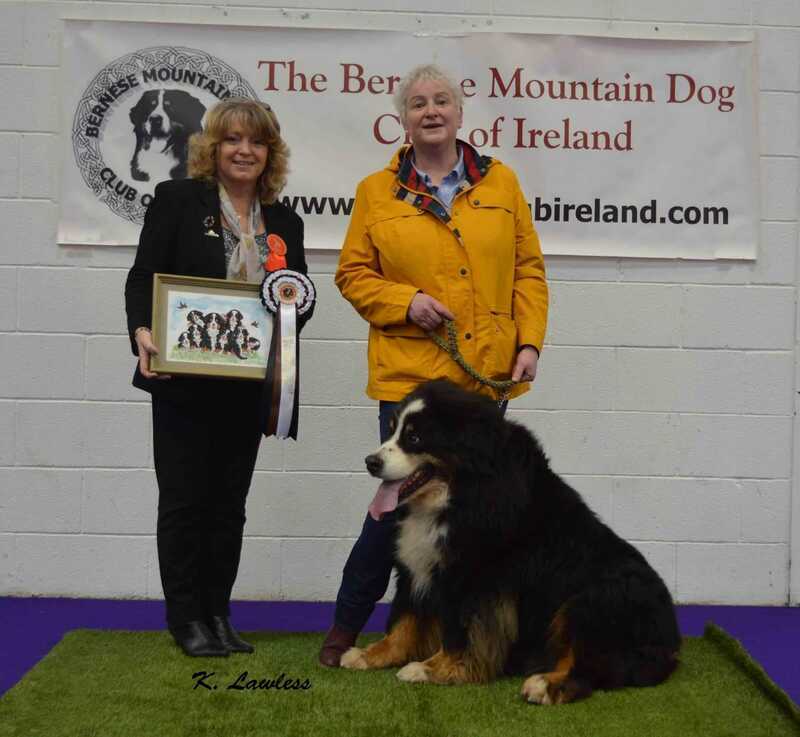 The Winner of the Adult of the Year was Joseph O'Callaghan's "Copy Paste from Berno Manija", handled by Mod Chankam O'Callaghan with the runner up spot going to Sally & Philip Murphy's "Finglebern Etude Erin Isle". The Winner of the Veteran of the Year was Sally & Philip Murphys' Ch & Int Ch Kinelarty Norsk Starstruck" with the runner up spot going to the same owners "Ch Starrytown Favourite Son Don Giovanni at Kinelarty". 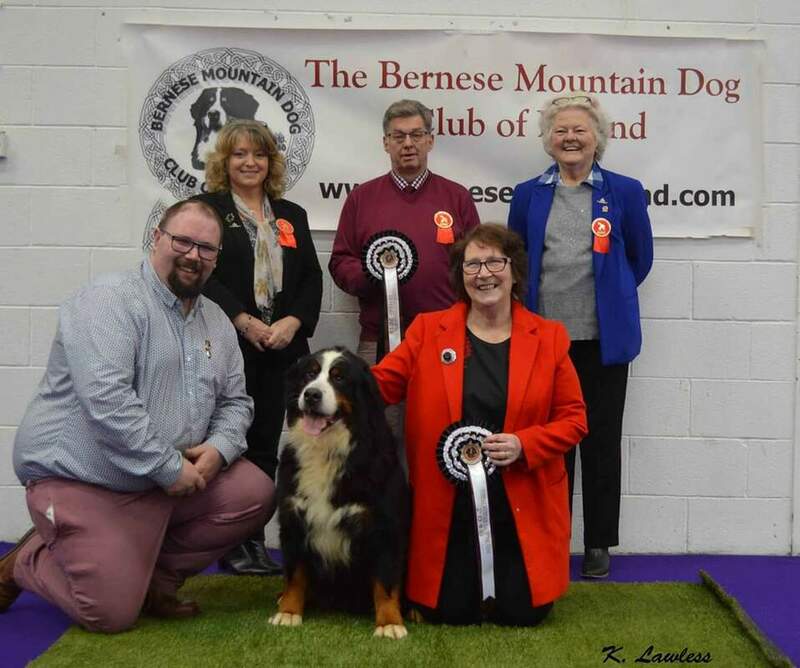 The three section winners then competed for the overall title of Bernese of the Year and the winner was the Veteran, Sally & Philip Murphy's "Ch & Int Ch Kinlearty Norsk Starstruck" with the Runner up Bernese of the Year going to Valerie Hughes Puppy/Junior, "Carraigbern Lovely Lady". There were many highlights to this event for me, particularly the lovely atmosphere at ringside and of course the number of young future handlers coming through. 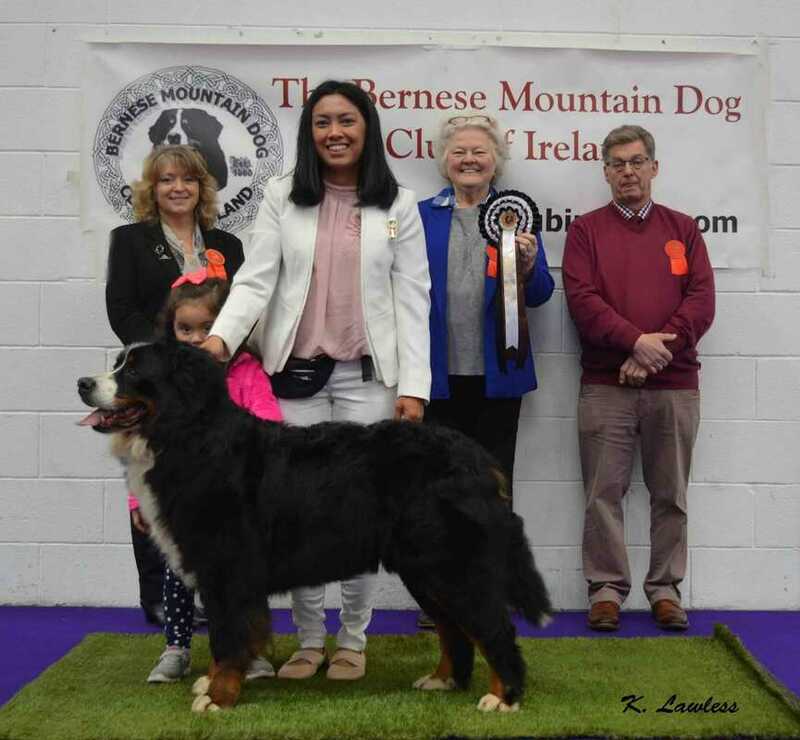 But Star of the Day was 11 year old "Mossie", aka "Carraigbern Polar Star" who received a special gift for being the eldest Bernese on show and a great ambassador for the breed as "Mossie" is a therapy dog.